When I was first considering this novel, I was thinking about the concept of how a human and a beast could develop an emotional relationship. I was tired of the dynamic found throughout fantasy literature, television and films where a helpless female protagonist becomes drawn into the world of the monstrous male other, which ultimately dominates her entirely. Fantasy as a genre needs to have more examples of heroines retaining their strength in relationships with inhuman male characters. These are stories which are often taken by teenage readers as depicting their romantic ideals. This is one of the reasons why I switched the genders of the traditional trope, and made my human character male and my beast female, turning that dynamic on its head. 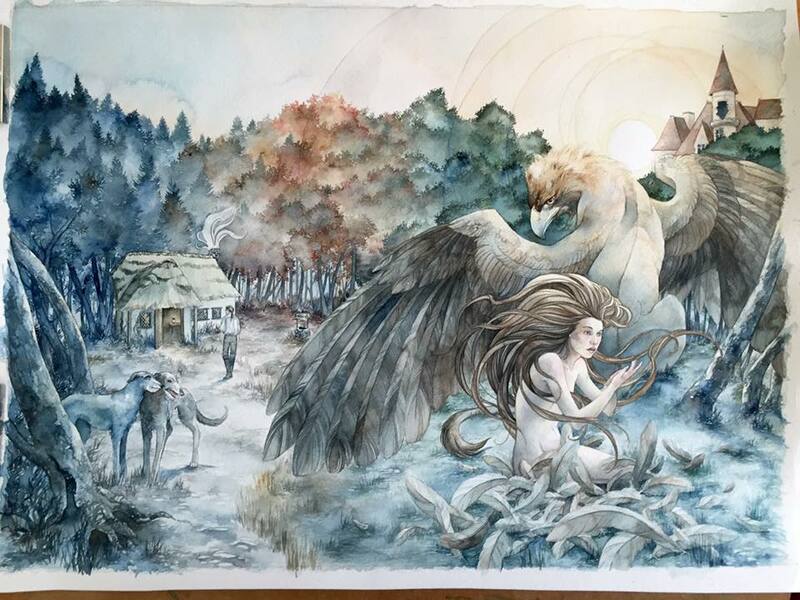 The other reason was that while considering the dynamic between human and inhuman relationships I drew inspiration from my experiences in falconry. Instead of a human becoming dominated by the monstrous other, in falconry they form a partnership of mutual respect. As the female bird of prey is larger than the male, a falconer admires, even loves, their female birds for their power, their violence, aggression (directed appropriately) and hunting prowess. She is a force to be reckoned with and respected because the falconer knows exactly what those feet are capable of. 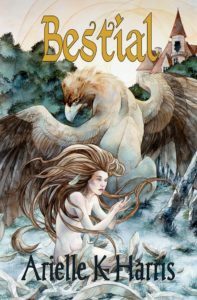 Bestial expresses these concepts, and it was important to me that my female character embodied the sort of violent power of a female bird of prey, and would not be dominated by a relationship with a male character. This is ultimately her story, describing her journey of self-discovery. In the past couple of days I’ve had certain important victories. From the beginning I assumed I’d have to get a professional to format my book, in both digital and print. I’d heard reports of, and seen for myself, some amateur Kindle books which didn’t inspire much hope for the inexperienced DIY-formatter. I’d tinkered a bit with running my book through a free online mobi converter, and it always ended up very very wrong. However, I’m at a very unique point in this book’s progress. I’ve finalized the manuscript, done all my front/back matter, but not yet ready to publish as my glorious cover art is still in the making. (I’m very excited about this artwork, and plan to devote an entire blog post to it in due course.) I just recognized, this week, what an opportunity this is. I have time to play around, see what I can do for myself, but still have the back up plan of hiring a professional should it become clear that I need one. And it turns out I don’t. It took a couple days to wade through various helpful websites and how-to guides on the subject, and then to download certain useful free software, but I managed to format the e-book into a working Kindle mobi file. It retains my images right where I want them, has a working table of contents, retains my text formatting and generally appears to be the real deal. I’m now working on the print book format, using the same formula as the above. There have been points during both of these explorations where I feel like my brain is breaking, and I have this overwhelming frustration that I know what I need to do but don’t have the tools to do it. I’m now recognizing that this feeling tends to prelude a breakthrough, so I just need to take a deep breath, walk away for a moment, and then come back to it with a clearer head and more specific search terms. Self-publishing is enough of a well-trodden path these days that there are plenty of resources out there if you know how to look for them. Tonight I’ve been celebrating these victories, and the new-found knowledge that’s come with them. I’ve been on such a kick that I even decided to fix our broken toilet this morning! So if anyone needs any information on the subjects of turning a Word document into a mobi file, or how to create print page templates, or anything about the inner workings of a modern low flush toilet, I’m your girl.